The deal to launch the GM plant in Poletown was fraught with controversy. When General Motors announced today that it planned to cut up to 14,000 jobs and might close five U.S. plants, the scope of the restructuring plan caught practically everyone by surprise. It also reopened a particularly sore wound in Detroit, which actually helped destroy parts of the city in the 1980s to make way for one of the factories GM now says faces possible closure. 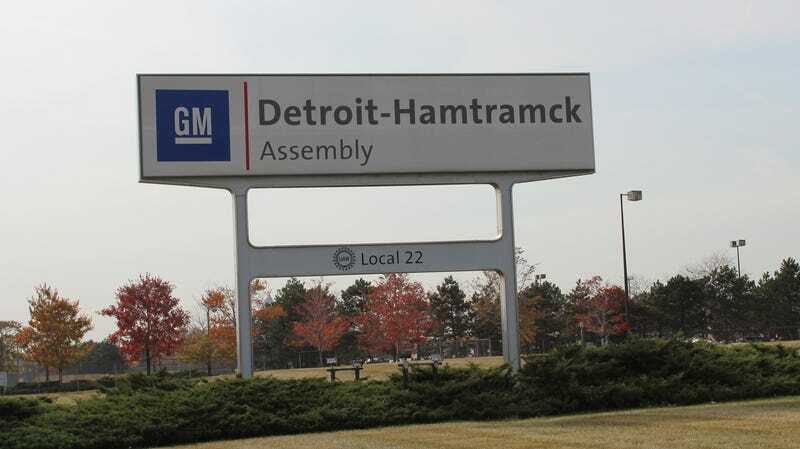 The Detroit-Hamtramck Assembly Plant, as it’s officially known by GM, has a history fraught with controversy, including an extremely contested move by local officials to use the government’s eminent domain power to seize 1,300 homes, stores, churches, and hospitals across 465 acres, and then raze them for the automaker’s project. At the time, then-mayor Coleman Young justified the measure as a way for a struggling city to gain a significant number of jobs, after GM threatened to close two Detroit factories. Put in another light, GM advantageously leveraged the struggles of Detroit—as well as Hamtramck, a hamlet surrounded by Detroit—to score a sweetheart deal for a new factory. The company expects to receive as much as $440 million in public subsidies from Federal, state and local governments. This money will be in the form of land-purchase and site-preparation assistance and tax abatements. The Detroit-Hamtramck project alone could mean spending as much as $320 million in public funds, including $200 million in site assistance and at least $120 million in tax abatements. But the project raised a fundamental question over how a government can utilize its power of eminent domain, and stirred up a national controversy that attracted the likes of everyone from Ralph Nader to the Gray Panthers. Naturally, with that many jobs on the table, many residents supported the project, but the decision by Detroit’s city council to seize property for a private entity led to a major lawsuit filed by a neighborhood association and several residents from the affected area—known locally as Poletown—who argued the deal was illegal. The case ultimately made its way to the Michigan Supreme Court, which in 1981 backed the project in a 5-2 decision. The court held that it served a public purpose for Detroit to seize private property and give it to another private owner for the project. And so the destruction began. Bitter residents told a News reporter they were not reconciled to their move. Ann Locklear said she had “lost my faith in the Church, the city and General Motors. Louise Crosby’s husband George became depressed after the couple moved to the Van Dyke- Seven Mile area. “He kept saying, ‘I want to go home, I want to go home.’” One winter day he left the house and was found three hours later wandering in the bitter cold. He ended up in a nursing home. A study conducted later by a University of Michigan researcher found that nearly four out of every 10 residents who were paid to move out of Poletown for the project said their relocation payments didn’t cover the cost of their new home, the News reported. But impact of relocating such a massive swath of the city for a private development was obvious, something captured acutely by Judge James Leo Ryan, one of the two dissenting members of the State Supreme Court that opposed the eminent domain measure. “The justification for it, like the inevitability of it, has been made to seem more acceptable by the “team spirit” chorus of approval of the project which has been supplied by the voices of labor, business, industry, government, finance, and even the news media,” Ryan wrote. “Virtually the only discordant sounds of dissent have come from the minuscule minority of citizens most profoundly affected by this case, the Poletown residents whose neighborhood has been destroyed. And so a city facing a massive loss of its population to the suburbs accelerated that trend by displacing thousands of poor residents from an ethnically diverse neighborhood as a way to, in theory, achieve once again some semblance of economic prosperity. The plant opened in 1981, and the remaining Poles in the neighborhood instead followed their displaced neighbors into the suburbs (and stayed there), further depleting the neighborhood. The Chene Street corridor wilted. Church congregations were split up. An ethnic enclave was lost. What’s worse is that GM’s promises were never borne out. The pitch at the time called for something like 6,000 jobs for the area. Today, about 1,500 people work at the site. And the promise of spin-off development to make up for what was lost—similar to recent talking points issued by Ford to justify tax breaks for a redevelopment project just west of the city’s downtown—never came to fruition. While GM’s promises didn’t hold up, the state Supreme Court’s position on eminent domain didn’t last, either. In 2004, Ryan’s perspective won out, when the high court decided to overturn its earlier decision in justifying the land seizure for GM. A local county government wanted to build an industrial park near the Detroit Metro Airport, but the court found that year that the government couldn’t use eminent domain to take property and transfer it to another private owner in the name of economic development, as the Detroit Free Press noted Monday. Ryan explained he wasn’t looking to take a victory lap and say, “I told you so,” but simply argued at the time that taking land for GM didn’t mean the threshold of a greater “benefit” to the public. There’s lessons to be gleaned from Poletown today, especially with Amazon’s HQ2 site selection battle front and center as of late. If Amazon’s Hunger Games-like fiasco was the ultimate culmination of the trend to pit cities against one another in order to secure the best corporate welfare package, Poletown was arguably the starting point that led us here. But look how things turned out. Nearly four decades later, after everything Detroit and its residents went through to make it happen, GM could leave the factory altogether, pending how talks with the United Auto Workers union go next year. That should say enough enough about cities pinning their hopes on big-ticket economic projects.